The day Gustav Krupp von Bohlen und Halbach met Nazi leader Adolf Hitler in 1940. (Editor’s note: There’s a point I’m making with this story and it is related to Engelbertha Krupp). Scientists have unearthed what they believe to be a new species of dinosaur recently found in Argentina. Not only is it new, it is the largest species of dinosaur ever discovered. The new species is being called Titanosaur (my discovery was called Engelbertha). My point is that these types of amazing discoveries (including Engelbertha) have been made in the past and will continue to be made in the future. Although scientists in Argentina have physical evidence to base their discovery on, the ongoing search for physical evidence (DNA) for Engelbertha goes on as well. Maybe a good opportunity to plug my cause with my German descendants of Alfred and Bertha Krupp. If you’re reading this, you have the potential to do some wonderful things by taking a DNA test. You could make a difference. 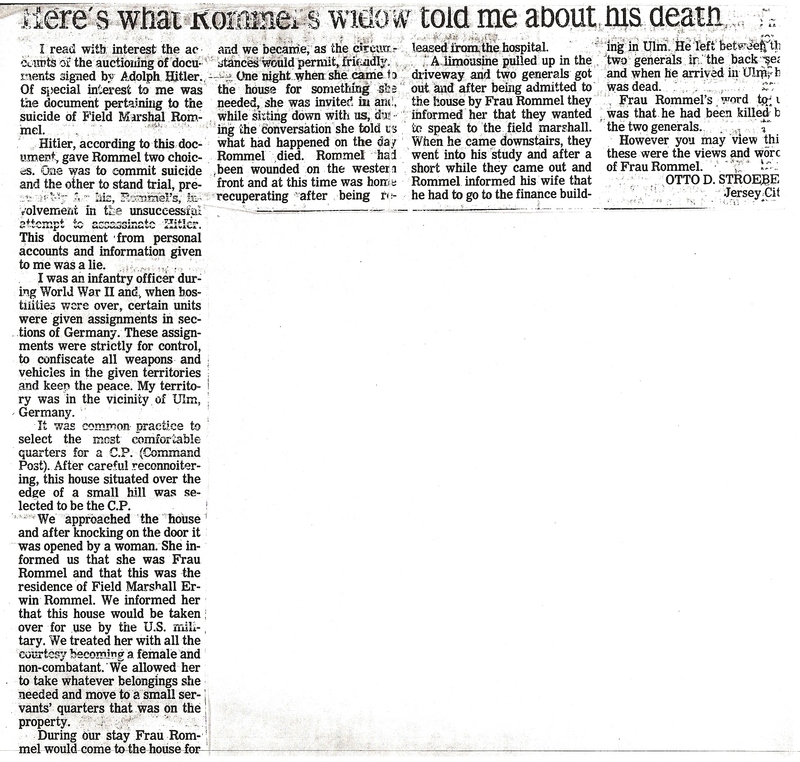 This undated story written by my deceased uncle, Otto “Dave” Stroebel, that appeared in the Jersey Journal newspaper of Jersey City, New Jersey, details his account when he and his men from the US Army commandeered German Field Marshal Erwin Rommel’s home in Herrlingen, Baden-Wurttemberg, Germany, during the closing days of WWII. 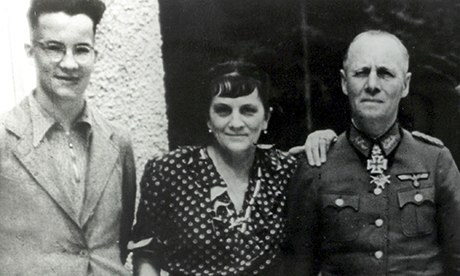 Rommel had already died, his wife, Lucie, was living alone and their son, Manfred, was a prisoner of war in France at the time. Read his intriuging story as told as an eye witness to history.